The haul included about 1,800 boxes full of frozen pangolins stuffed inside three refrigerated containers, 572 more frozen pangolins in six freezers, 61 live pangolins in cages, and 361 kilogrammes (795 pounds) of pangolin scales, according to police. The Southeast Asian nation is battling to clamp down on rampant poaching and smuggling of pangolins, the world's most heavily trafficked mammal. The critically endangered creatures, also known as scaly anteaters, have long been targeted as their body parts are highly valued in traditional medicine in countries including China and Vietnam while their meat is considered a delicacy. Following a tip-off, wildlife officials in Sabah state raided a factory and a warehouse on Thursday, according to a statement from local police chief Omar Mammah. Police arrested a 35-year-old man suspected to have been in charge of the factory as part of an illegal syndicate. 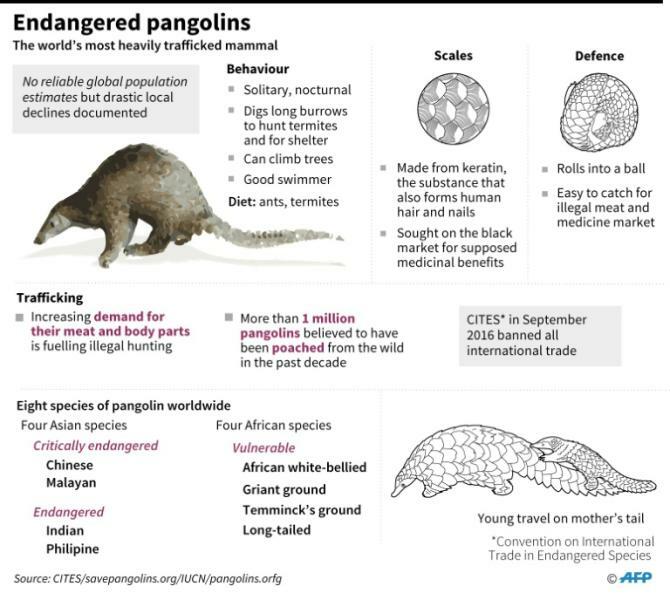 The operation is believed to have been running for the past seven years, and police believe the pangolins were bought from poachers to be distributed locally. Traffic, a Malaysia-based group that monitors wildlife smuggling around the region, said it was the "biggest such bust Malaysia has seen to date". "No threatened species can withstand industrial levels of extraction such as this," Kanitha Krishnasamy, the group's Southeast Asia director, told AFP. 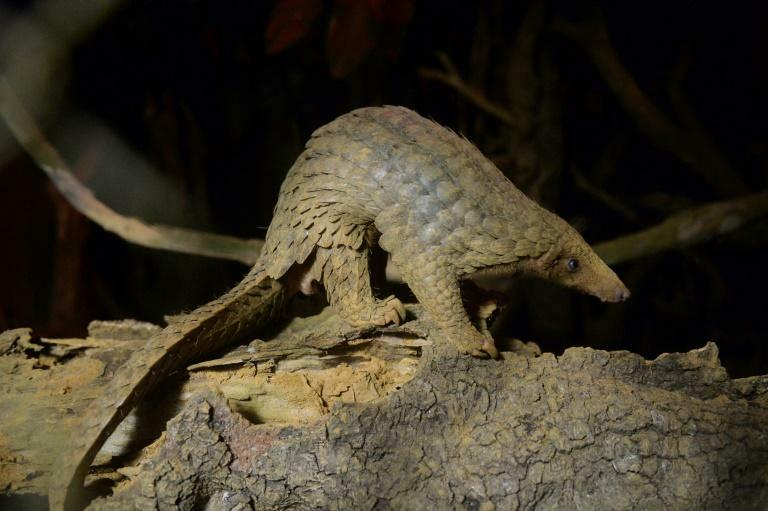 The seizures also shone a light on Sabah's major role in animal trafficking -- the state on Borneo island has been implicated in smuggling cases involving over 40 tonnes of pangolins since August 2017, according to Traffic. Malaysia regularly foils attempts to smuggle pangolins and their parts out of the country but usually on a far smaller scale.